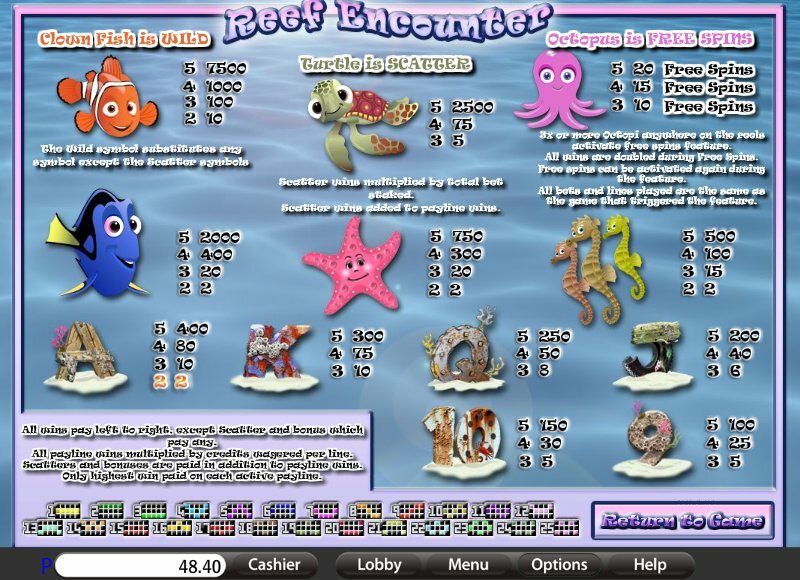 Overview: Immerse yourself in this colorful tropical sea world and make a splash with some familiar friendly faces. WIN UP TO 75,000 COINS! 25 LINE. 10 COINS. UP TO 20 FREE SPINS. WILD. SCATTER. 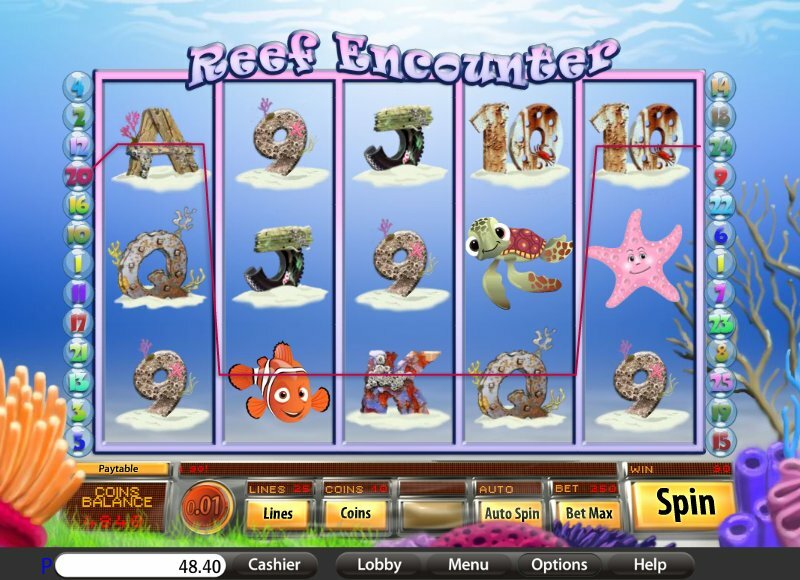 Similar Slots: If you like Reef Encounter, you might like these other slot machines from Saucify: Alpha Squad, Buckin' Bronco$, Captain Shockwave, Pina Nevada, Road Trip - Max Ways, Tails of New York.